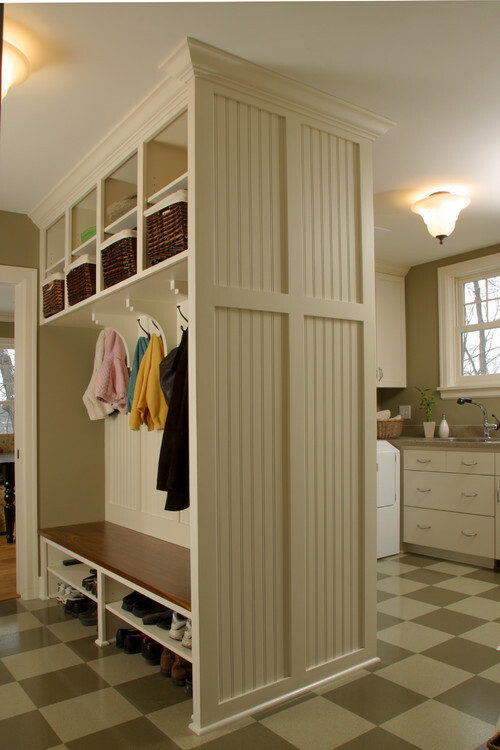 Classic Style Home: New Project Plans: A Mudroom! 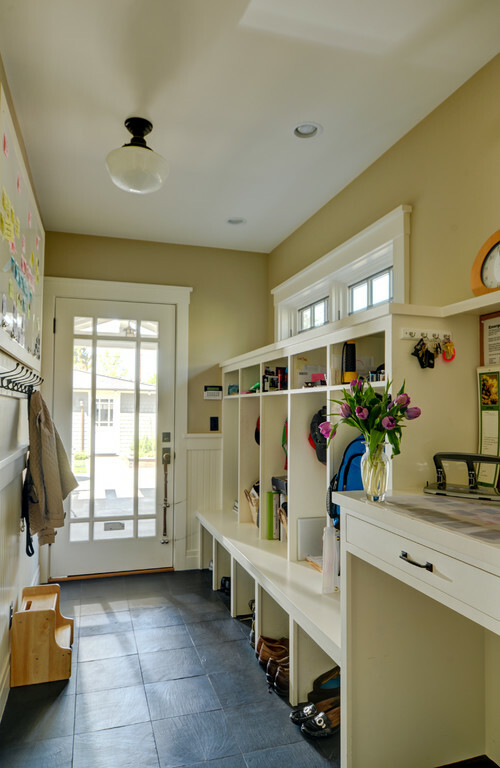 New Project Plans: A Mudroom! Well, technically it’s a closet. This is the place all of the odds and ends we seem to collect over the years goes…to die. It’s a huge closet under the stairs and we’ve cleaned it out more times than I can count. It has stored our Christmas decorations, important paperwork, photos, extra paper towels, old home décor, etc. Between our crazy amount of donations to Goodwill, the new home office, and new storage in the garage we don’t have an excuse for this any longer. Thankfully, it doesn’t look as bad in the picture. I’m not kidding. If you’ve been wondering why I’ve been MIA this week it’s because I’m trying to integrate the things we are going to keep into our home office. Everything else has been donated, put in the attic, or in the garage. I still have two filing cabinets and three large bins to go through, but it’s coming along. Here is the closet now. It’s clean, but ugly as sin. So, what prompted me to clean this mess up? Typical January organization? Nope. It’s when the lightbulb went off that this would make a perfect mudroom. It’s in a central location on our first floor so it doesn’t matter if we enter the house through the front door or the garage door. I have been complaining for a while that we don’t have enough hooks in the laundry room for a family of five. I need hooks for ten jackets, three backpacks, a briefcase and a couple of handbags. Oh, and hats! That might not happen, but it’s on my wish list. I also need a spot the kids can store their shoes that Mr. Shoe Fetish (aka Mario or the pupster) can’t find them them. This project is going to take a while. I have to paint, replace the carpet, and sweet talk my husband into taking out the retired saw for some built-in shelving. But, can’t you see it? No. Well, I really don’t have a full plan yet either. The best part of a new project are the inspiration pictures. Here’s your eye candy because I know the pictures above aren’t doing it for you. 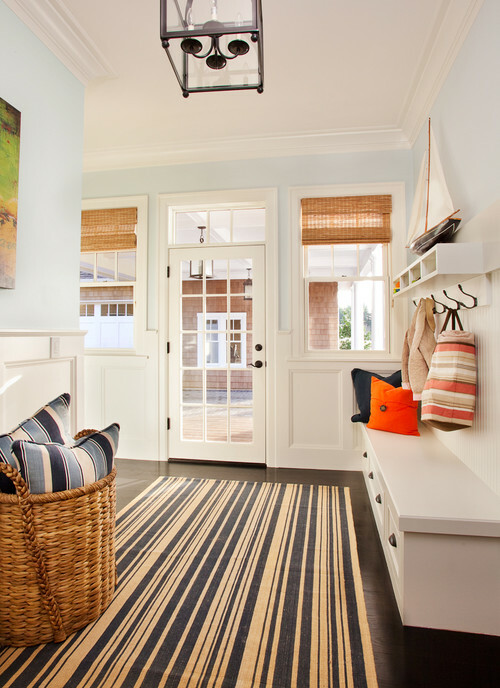 Beach Style Entry by Portland Interior Designers & Decorators Garrison Hullinger Interior Design Inc.
My new mudroom won't look like these, of course. There's only so much you can do with a closet, but I do hope to incorporate built-ins to decrease the slope and odd angles of the ceiling and walls. I can't wait to get started! I will be following your progress closely, because we too have a closet under the stairs that could be used for a similar purpose. The angles will be weird, but I'm sure you will figure out something that will work. We just moved into our home in October, and we are still trying to find the optimal place for the kids backpacks, shoes, and coats. The closet under the stairs in our home is right next to the door, so it would be the perfect spot too. Do you think you will remove the door to the closet altogether and make it more of a room? 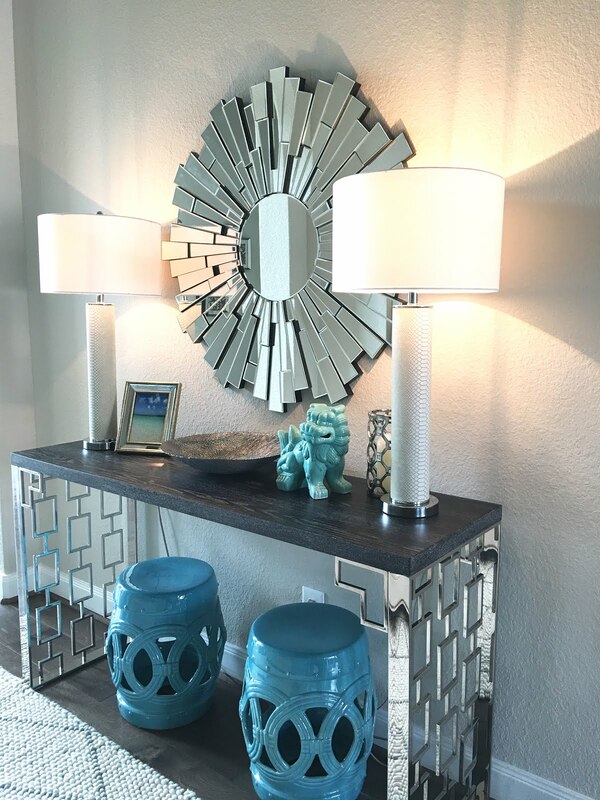 What a great use of space, Jennifer!! I SO wish I had a mudroom or closet that would work! :) Great inspiration!